SINGAPORE - A shortage of skills, not a shortage of jobs, could cause unemployment to rise in Singapore. That is why programmes, such as Skills Future, have been put in place to help workers learn new skills, adapt to new jobs and develop their careers, said Manpower Minister Lim Swee Say on Tuesday. 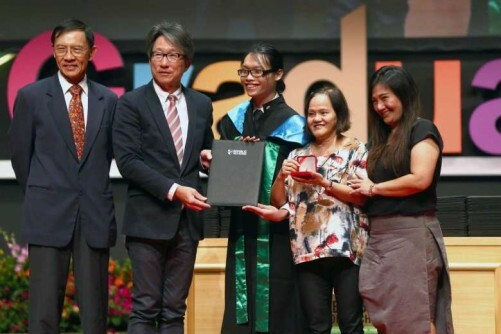 Speaking to students during Republic Polytechnic's (RP) graduation ceremony, Mr Lim said they were entering the workforce at a challenging time, with technology changing the nature of jobs at a much faster pace than before, and increasing the risk of redundancies. Yet while technology and artificial intelligence may take over many jobs, others - "from data analytics and cyber security, to robotisation engineering" - will be created as "we transit into the future world of Smart Factory, Lean Hotel, Autonomous Vehicle and Digital Service", he stressed. Singapore is determined to be at the forefront of technology to ensure this job creation, but "for us to truly succeed, we have to help our people to adapt better too". Otherwise, the mismatch between jobs and skills will widen further "as we run faster". He told the new graduates that they are just starting, not ending, their lifelong learning journey. "Whether you will do well in the innovative economy of the future, depends not just how competent and capable you are today, but also how passionate you are, how adaptable you will be in future," Mr Lim said, praising the polytechnic for not simply being focused on transferring knowledge, but "to inculcate the mindset of being adaptable". RP, which will see 4,752 students graduating this year, has been running the Pre-Employment Training (PET) and Continuing education and Training (CET) programmes since 2003 and 2007 respectively. The PET programme offers its diploma students internships of up to six months through their education, while the CET course offers adult learners opportunities to upgrade their skills through their working life. Ms Kristina Manik, RP's valedictorian this year, graduated with a diploma in Human Resource Management with Psychology (DHRMP). Even after her internship at a multinational company ended, she continued with to lead a regional human resource project there. "There is only so much teachers can teach you," said the 19-year-old. "I was pushed out of my comfort zone - I had to interact with clients daily and even interview employees." Ms Beatrice Tan, programme chair of the DHRMP course, said that students have to do their own research in order to find solutions to the problem. "Employment is based on someone's ability to solve problems. Technology can become outdated, but the ability to solve problems will always be required."